It's the reunion NBA fans can't wait to see. No, not Dwyane Wade and Miami. 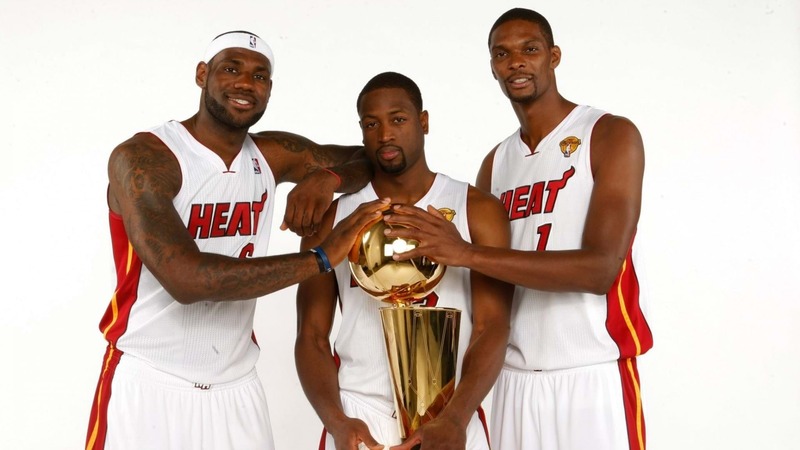 The good mates last played together on a Miami Heat "super team" for 4 seasons, winning 2 Championships in that time (2012, 2013). This time they'll be on LeBron's home turf in Ohio. It wasn't going to be this way. Wade had expected to see out another season with Chicago after exercising his $US 23.8 million option. But the Bulls traded away the key reason why Wade had signed for his hometown team in the first place. Jimmy Butler cleared out his locker to join a rising Minnesota Timberwolves as a role player. With neither the Bulls, nor the 35 year old agreeing on him playing a mentor role for a team in rebuild, a buy-out was reached. Wade gave back about $8 million and walked away with $15.8 million of what he was owed in the Windy City. San Antonio and Oklahoma City made plays for the future Hall of Famer. Even Wade's old team Miami came calling about a fairytale reunion. D-Wade wasn't going to let sentimental feelings overcome his desire to play for another contender and one of the few teams capable of doing that out east right now is Cleveland. The offer to play with good pal LeBron James once again proved too good to turn up. It's also worth mentioning Wade will make just $2.3 million off the Cavaliers this season when he could've made roughly double back in Miami. Clearly money isn't everything for the superstar guard, but a payout from the Bulls certainly helps. The biggest question now for jubilant Cavs fans is whether Wade starts, or comes off the bench. With top calibre players like J.R. Smith, Derrick Rose and Isaiah Thomas on a roster headlined by the greatest current player in the game, it's a good problem for the Cavs to have.